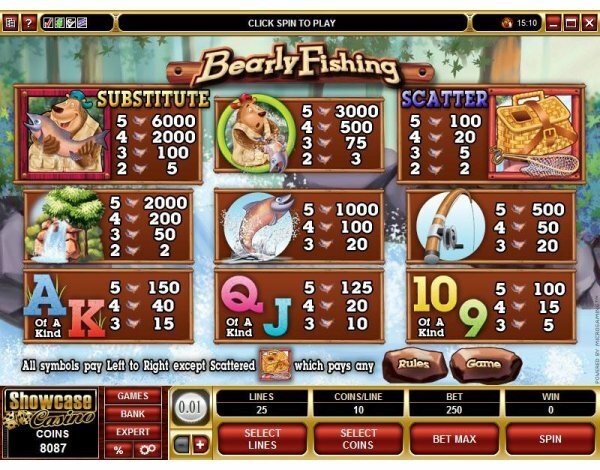 Overview: February 2009: The salmon are running and the bears are out and about along the sparkling rapids, searching for a juicy feast in the latest 5 reel, 25 pay-line video slot from Microgaming, BEARLY FISHING. 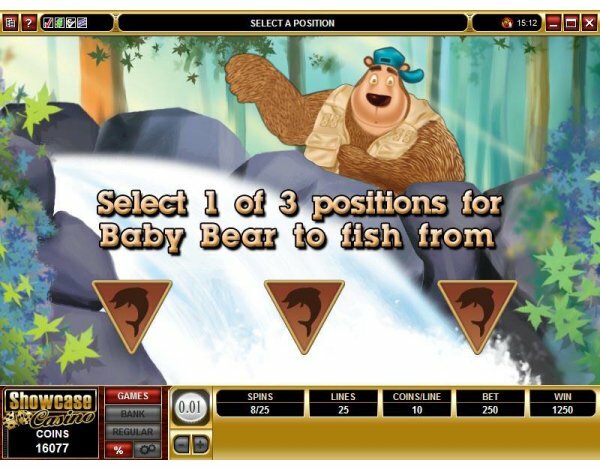 The theme in this game is carried by brilliant graphics redolent with shady forests, foaming rapids and amiable bears in a comical nature-based presentation that features Wilds, Scatters and a Free Spins second screen with multipliers of up to 6 times depending on how good the player is at hitting the right fishing spots! 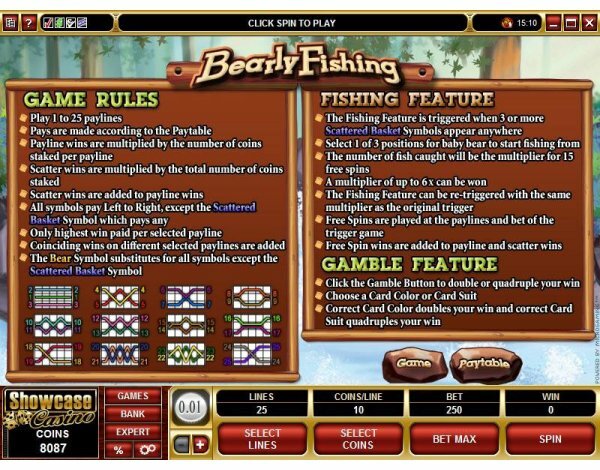 You will want to see the big bear across the reels as the Wild symbol, helping to build winning combinations by substituting for other symbols, and the fishing basket icon which acts as the Scatter to deliver Free Spins. Select 1 out of 3 fishing spots, and the number of flying salmon caught by Baby Bear, which will determine the up to 6x multiplier in the 15 Free Spins, with re-triggers as a definite possibility. 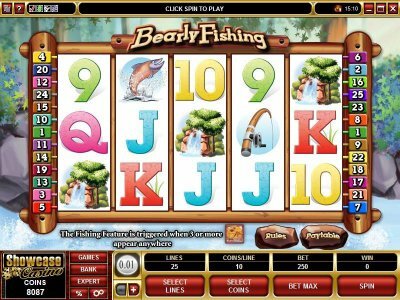 Similar Slots: If you like Bearly Fishing, you might like these other 5-reel slot machines: Big Break, Elementals, Inca Gold, Little Chief Big Cash, Twin Samurai, Winter Gold.